Joint pain is a very common problem encountered by menopausal women. Whether it presents a mild annoyance, or an intense, consuming pain, if you are faced with this condition it is likely that you will be keen to find a convenient and effective cure for joint pain. There are a wide number of possibilities that can be explored; read on to find out more about which ones have been found to be especially successful. Some women achieve better results with cold applications rather than with heat. The use of a freezing cream, or even ice pack, can be worthwhile as a joint pain cure, as these can be effective in treating swelling and inflammation. In the case of gout specifically, along with stiffness and pain in the joints, affected areas can become very warm - this is commonly seen in the toes and elbows especially. The application of a cold implement as a joint pain cure can be hugely favorable for numbing and soothing the area. 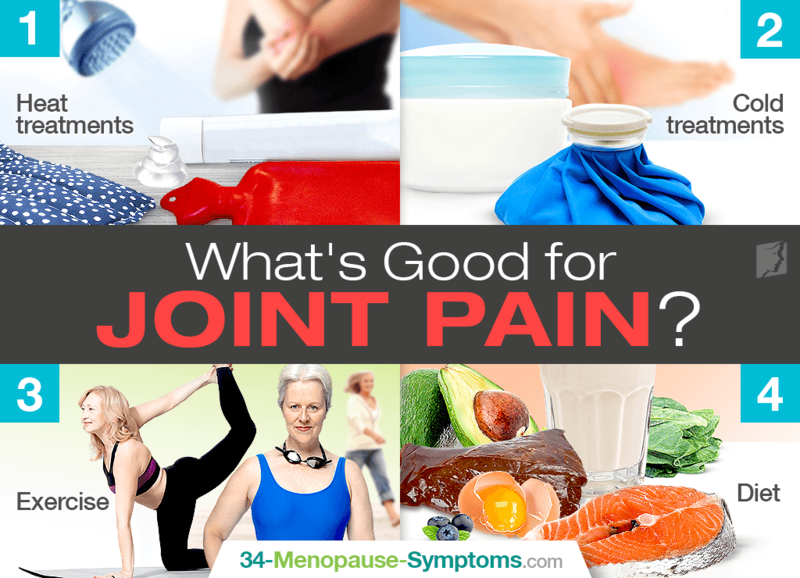 Being aware of what is good for joint pain can be hugely beneficial even if you have not experienced the condition, because the sad fact is, joint pain is prevalent among menopausal women. Armed with some knowledge about treatments and management techniques should help you to feel reassured when you ever be faced with pain. In case of this problem, you can combine different treatments including herbal supplements to find some relief.